Well, the Cutie Pox is fatal..So I'd go with the Tonsillitis...At least that doesn't make you talk FANCY! Well, I was finally able to get the hair dye I needed for my Great And Powerful Trixie costume, but it turns out they put the wrong color dye packs in the box! Now, I have to go back to Hot Topic! Well, I'm technically moved in finally. I won't consider it a victory until everything's unpacked, though. Can somepony help me? I found an MLP toy, but I don't know the character's name. I do know that it's definitely not a G4 character. Its coat is white, its mane and tail are pink, and its cutie mark is a small pink circle with lots of stars swirling around it. The mane is brushable, but the tail isn't. I'll try that in the morning, if I can figure out how. If the mane is brushable and the tail is not, it's likely a previous gen McDonalds pony. I figured that. ^_^ I just wanna know if it has a name, and, if so, what it is. To quote Fluttershy, yay! I recently came into possession of a digital copy of Equestria Girls! I shall watch it posthaste! 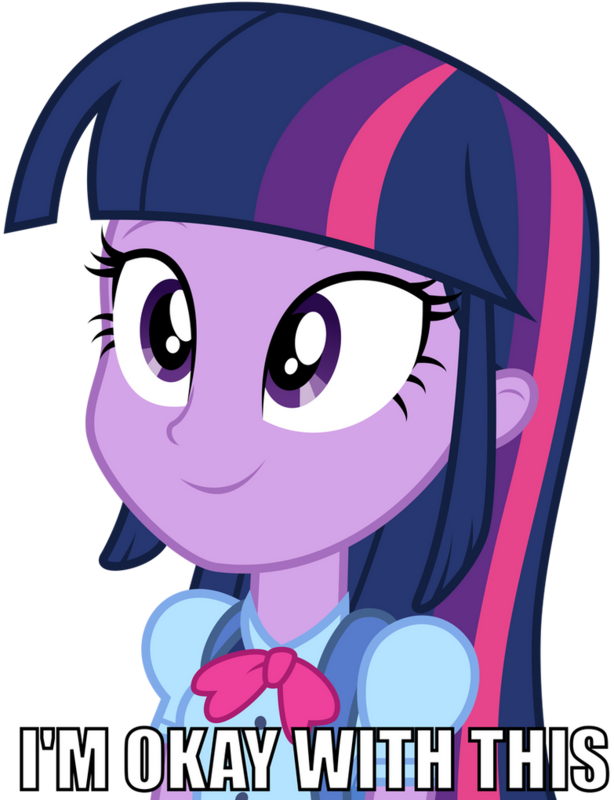 I decided that the next part of my Great And Powerful Trixie costume I'll work on will be her cutie mark! I originally planned to draw it on my face with markers, but I have now decided to incorporate it into the costume as a prop. I found a toy wand that has a little star on top! I just have to paint the handle blue, then tie a blue ribbon to the wand(to simulate the blue mist in the cutie mark. )!